The Internet is the world's biggest source of information. As such, many of us go online on a daily basis. This can be for shopping, social interaction, entertainment or academic research. Thanks to advanced technology, we now use smartphones to surf the Internet. As a matter of fact, even our children use these devices regularly. Studies have shown that the average age when kids begin to use smartphones is 10 years old. Despite its necessity, the Internet can be a dangerous place. It contains websites that have malicious viruses and content. Moreover, there are unsavory people lurking in social media platforms. In addition to that, there are adult sites with material not fit for viewing by children. As such, it is important for parents to monitor their kids' Internet activity. Doing this can even save their lives. Thankfully, there are software that can make this possible. Here is more about this. What can Internet monitoring software do for us? Software for monitoring Internet activity is very beneficial. 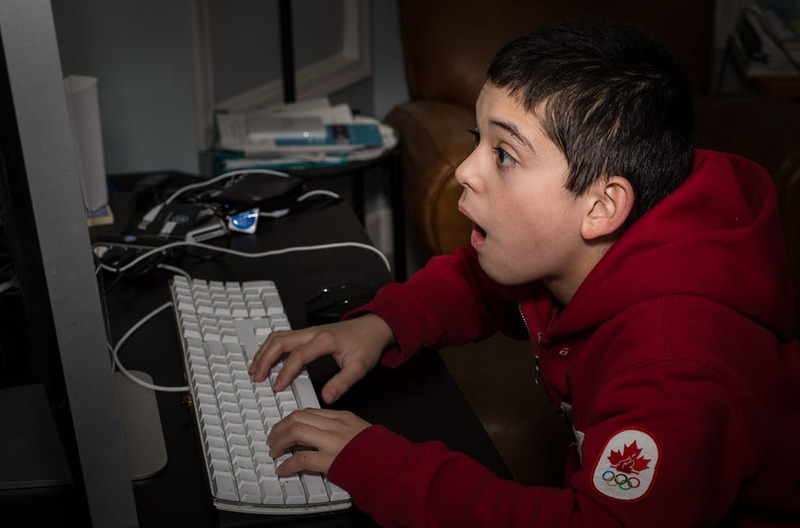 Firstly, it allows you to discover what your children are doing online. This software can remotely log the Internet activity on their smartphones. This gives you a sneak peek into their digital lives. By identifying their online behavior, you can determine the level of restriction that you intend to implement with the software. These digital tools can also be used to block certain sites. There's no denying that the Internet has many dangerous websites. They contain viruses, dangerous information and even extremist people. These elements can be very destructive for children. Therefore, parents should take measures to prevent access to these sites. Internet monitoring software can make this possible. Furthermore, the internal monitoring software for parents can send a message any time their children try to access the restricted sites. Overall, Internet monitoring tools can be effective digital parents. 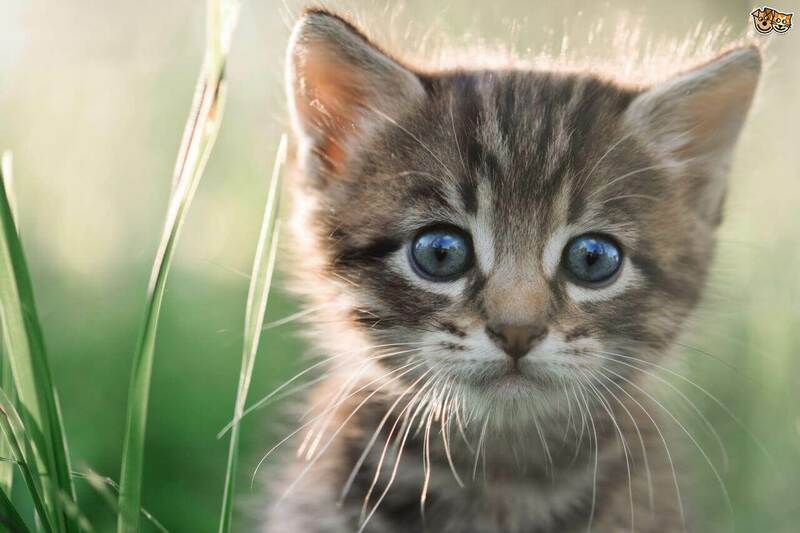 This is a software that is made for the Windows operating system. It contains a collection of features that work together to monitor Internet access in your home computers and smartphones. KidsWatch Professional can block malicious websites as well as possibly infected media such as pop-up ads and banners. In addition to that, it provides real-time protection. Parents can also use this software to schedule Internet access in their homes. This way, each child gets a specific period of time to go online on their smartphone. KidsWatch Professional also sends logs of your child's chat sessions. Furthermore, it alerts you whenever an inappropriate word, picture or video is sent to your child. For more protection, this software cross-checks the people that your children interact with online with registered Internet offenders. This protects them in real-time. This software is available for free over a 15 day trial period. Further use requires payment. This is a system that creates a safe Internet environment for your children. 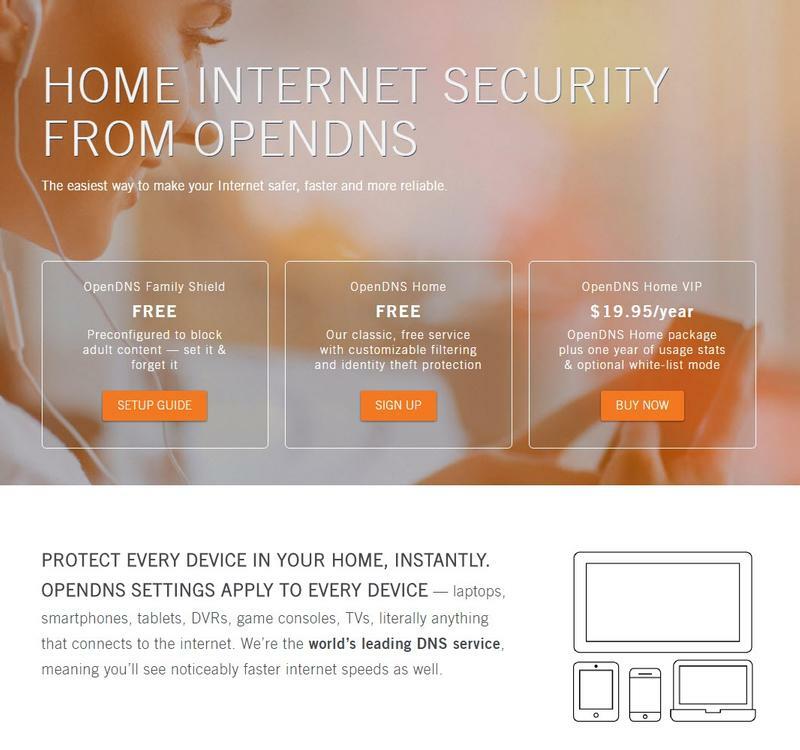 The OpenDNS Family Shield works to protect multiple devices at the same time. The system arrives already pre-configured to prevent access to adult content. As such, upon turning it on, your children are immediately protected when surfing the Internet. This is a software that performs monitoring for computers, smartphones and tablets as well. 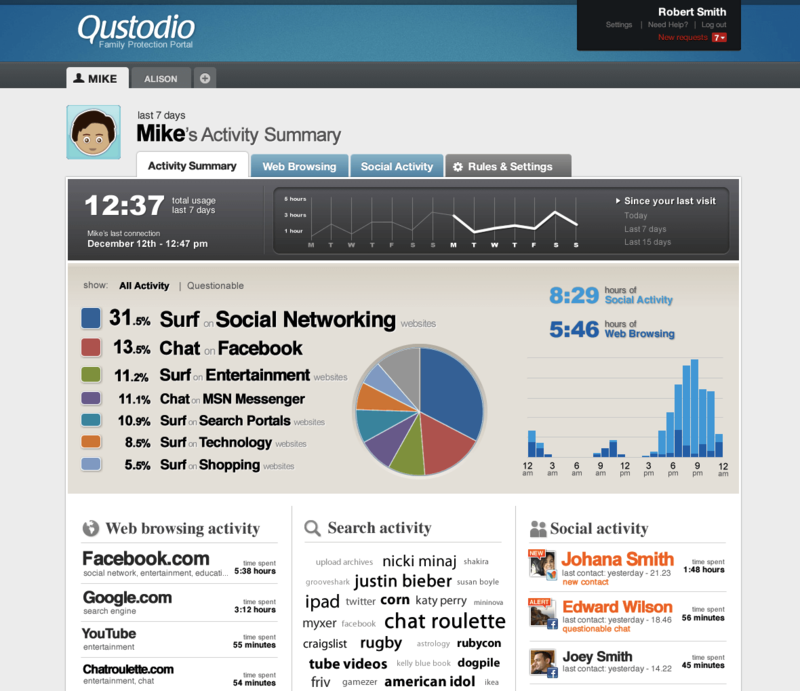 Qustodio has a neat, easy to use interface. Freely available to you, it has a short sign up process. From its customizable dashboard, you can control elements such as social media, website access and application downloads. 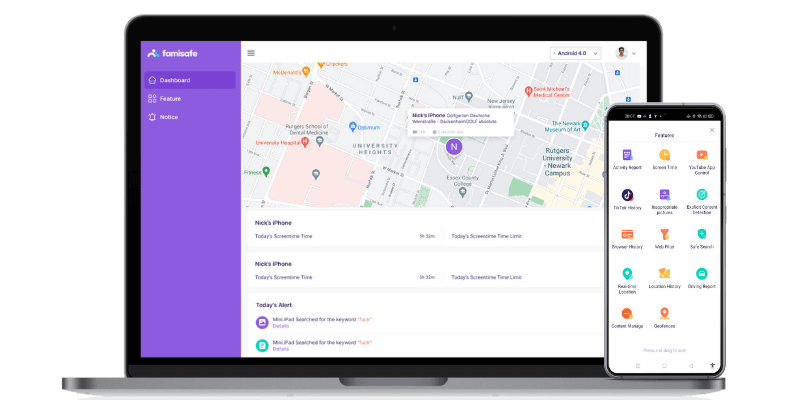 You can also use this software to perform Internet-scheduling as well as call and message tracking. This internal monitoring software for parents provides comprehensive surveillance of single or multiple devices. In addition to that, there are versions of the software for various operating systems such as 105, Android and Windows mobile. Parents should note that you can only use the free version of Qustodio on one device. However, after payment, you can get extra capabilities such as game restrictions and GPS tracking. This is comprehensive monitoring and filtration software for the Internet. Based in the Cloud, this software is capable of monitoring multiple devices at the same time. It can monitor the web activity on smartphones, tablets and computers. K9 Web Protection software is compatible with Android, 105 and MacOS. Furthermore, it is light, speedy and capable of filtering out web content that contains negative elements such as racism, adult content and drugs. As such, this software provides your children with a pure, clean Internet experience. This software allows you to create lists of websites that should be blocked. 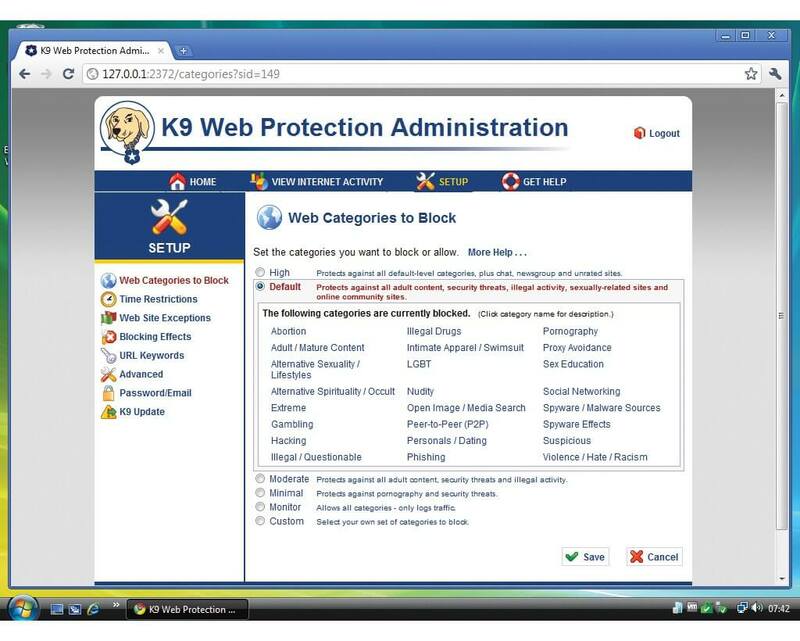 In addition to that, K9 Web Protection software can perform Internet scheduling. In this tool, your parental password overrides all administrative settings. Best of all, this monitoring software is freely accessible. This internal monitoring software for parents makes it easy to filter Web access for their children. Mobicip arrives with all the necessary Internet access settings already made. Therefore, all that you have to do is enter the websites that you would like flagged in the software's setup. Moreover, you can filter websites and web content based on descriptions such as adult material and violence. This makes it easy for parents to protect their children online. When it comes to ease of use, Mobicip takes the cake. The software provides you with a clean, neat interface. Moreover, you can customize the features which you desire on the dashboard. In doing so, it becomes easier to use the tool regular. This software enables you to protect your settings with a master password. Moreover, it is developed for the 105 platform. As such, it is ideal for Phone smartphones. To monitor child's Internet usage on Android or Phone, simply try FamiSafe! 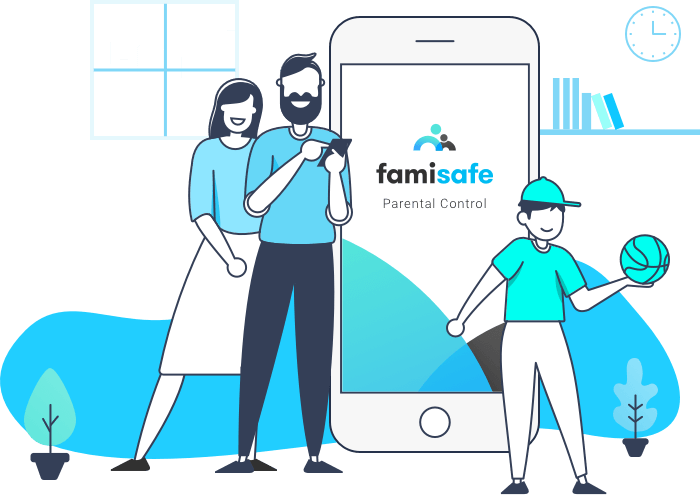 FamiSafe Parental Control is a completely legal product for monitoring your children's mobile phones. It is produced by Wondershare and can be installed on both Android and 105 smartphone platforms. By using this application, you can promote harmony in your family. While using this monitoring software, your child will be aware that you're remotely observing their digital activity. Therefore, if they trespass any restrictive settings that you have set, a number of warning alerts will be activated and warn them back to the correct behavior. This application can also block malicious or inappropriate websites. In addition to that, it can discover their browsing history and send you their surfing logs. Furthermore, you can use it to filter the material that your child watches on the Internet. In doing so, you are able to protect them from digital danger. How can parents begin to use this software? It is very easy to implement this monitoring software in your horn. Parents can do so by downloading it from the App Store or Google Play. This should be done on both the parent's and child's smartphones. This process only requires an active Internet connection and some time. Having done so, the parent should register membership accounts in each smartphone. In this process, the application does not request for too much personal information. Furthermore, the few identification details that it actually requests are stored very securely thanks to 256-bit encryption. After completing the registration process, the parent can activate FamiSafe and connect to their child's smartphone. They can then begin remote monitoring. For parents, it is very important to protect your children on the Internet. This can be done by monitoring their online activity. Above are some of the most effective software products for this purpose. Best of all is FamiSafe Parental Control software. It provides monitoring and tracking at the same time!